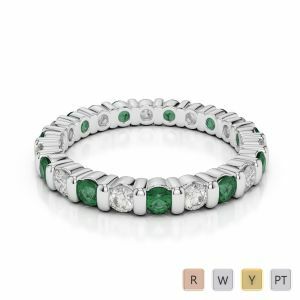 The Emerald symbolizes rebirth, luxury and abundance for life. 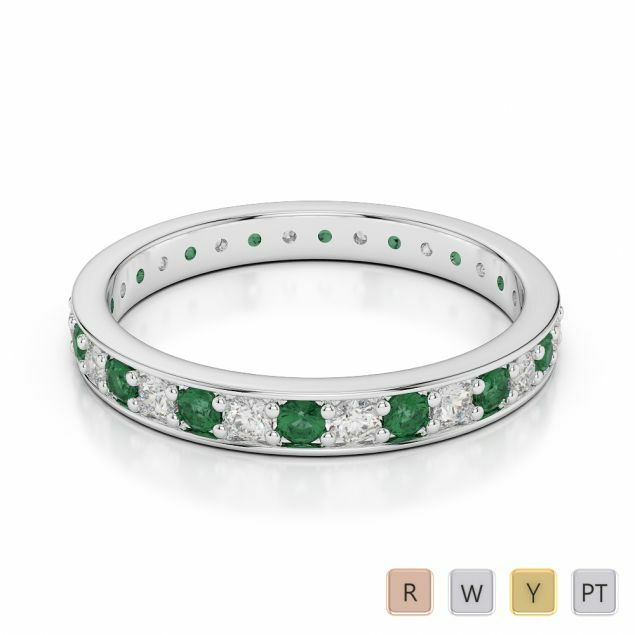 With the striking vibrant green colour and the feel of elegance associated with Emerald, it has been one of the most strongly admired gemstones for centuries. The beautiful gemstone when studded with diamonds makes the ultimate pairing for the eternity ring adding hue to your beauty. 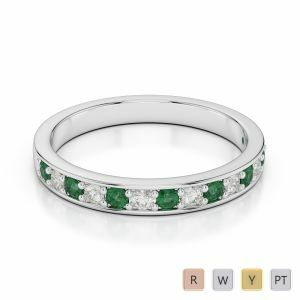 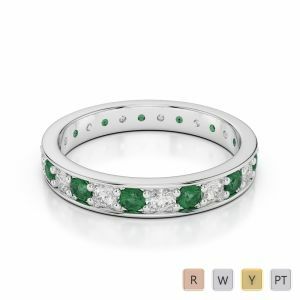 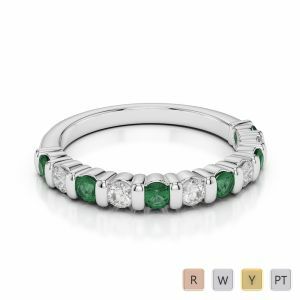 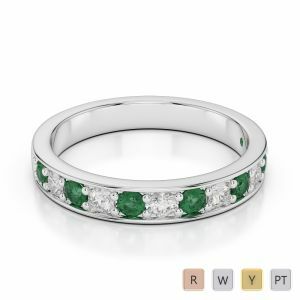 Emerald rings are gorgeous and we personally love them due to their rich green color. 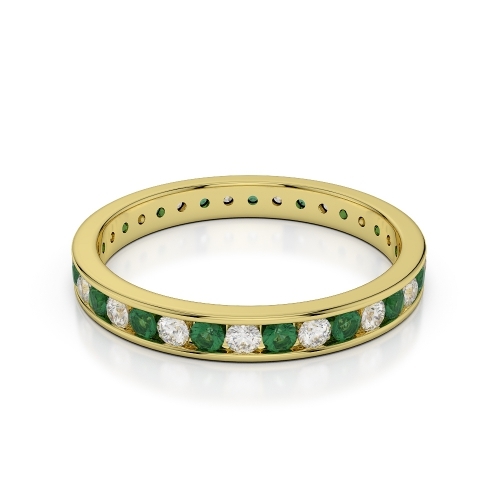 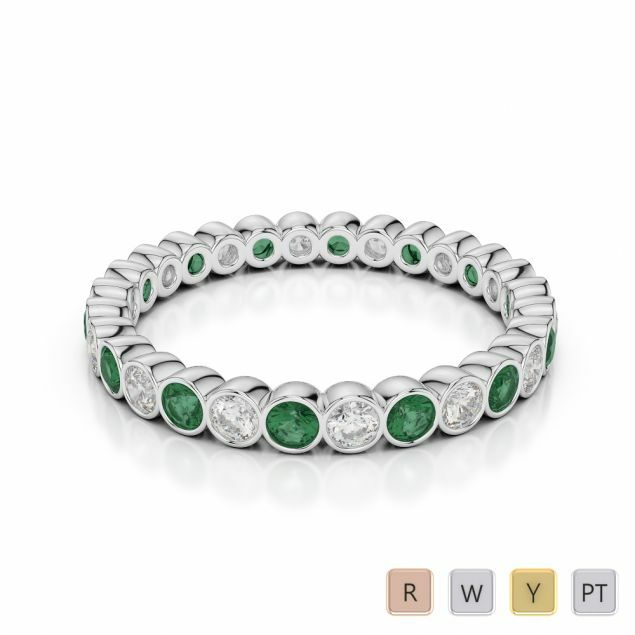 Our Emerald eternity rings showcase a classy, stylish, and chic look.